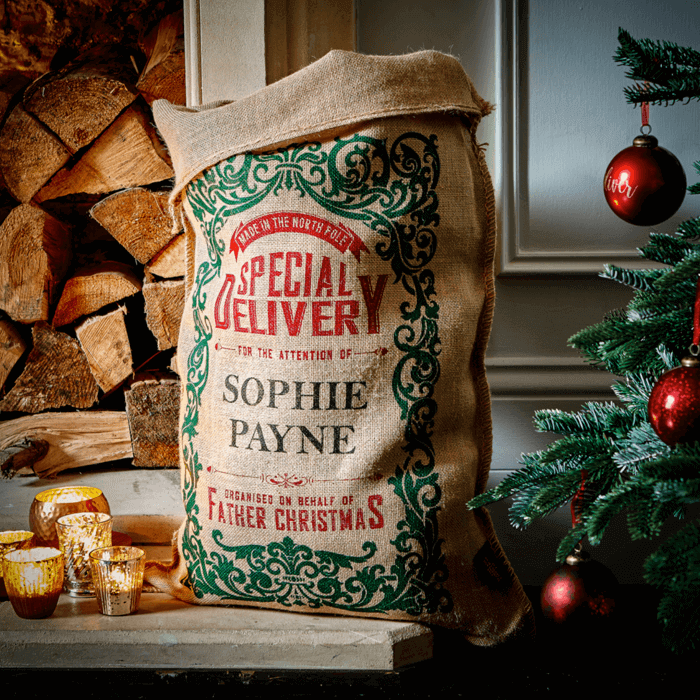 Red and green should definitely be seen, especially on this sack featuring an ornamental border and graphic printed message. A very grown-up design to celebrate Christmas. Measuring 80 x 53cm, this sack comes with one metre of branded crimson satin ribbon to tie around the top. Please note: Due to our production process, the shade of red used in the name font may may vary slightly to the shade of the sack design.